These three sensational collections are nothing short of iconic. 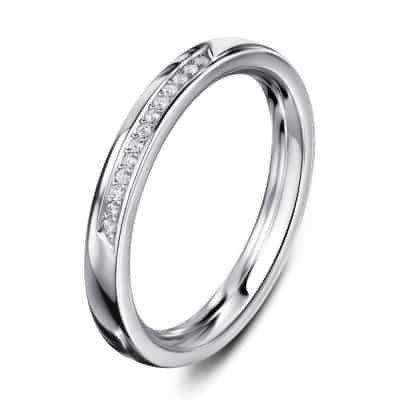 The fine stream of pavé flowing beneath the centre stone has all the marks of signature AG and becomes a beautifully alluring and intriguing detail. The Reveal was the genesis of the style with the twisting Embrace and petit Revealing evolving fluidly within the style. True design classics with incredible technical and stone-setting wizardry. I found my Cannele ring having looked for a special ring to mark a special work assignment. 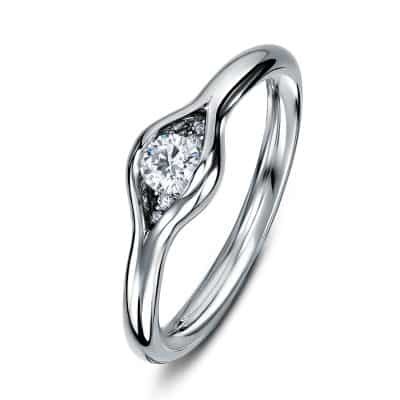 I love the cold tone of platinum and the enchanting delicate design, having searched through many of them at Liberty and elsewhere on my travels. 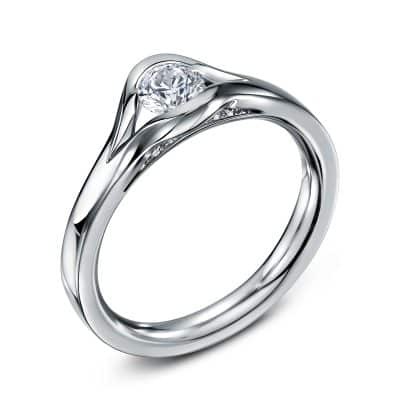 The elegance and simplicity of this French ring reminds me of a gothic rosette. Now I discovered Andrew's work, I take pleasure in searching for my next dainty ring from his precious collection. 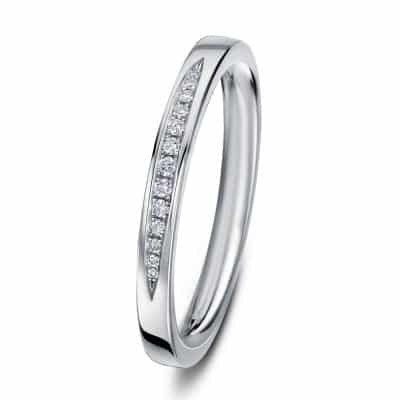 I've been looking for an engagement ring for my girlfriend for a while when I found Andrew's products. It was love from the first sight when I saw the Cannele Petit Sapphire ring: the design, colors, finishing - everything was just perfect and truly breathtaking! 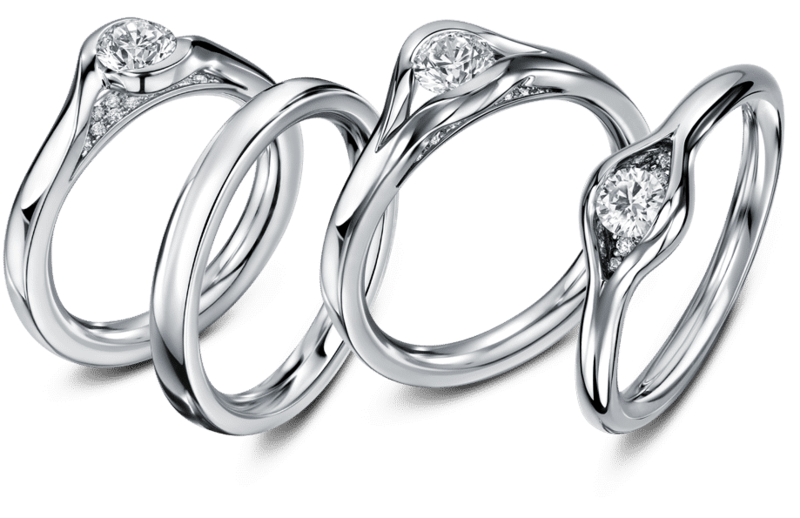 The service is a 5 star experience from the very beginning, I am looking forward to coming back for our wedding rings and more! If you would like us to keep you informed about new collections, addition pieces, up and coming events and special offers, simply fill in the quick form below. All the information you provide is held in our secure database and we will never pass your personal data to anyone else. Information obtained is solely for use by Andrew Geoghegan. If you have a question about any of our pieces, or would like to enquire about a bespoke piece, please contact us on the details below and we’ll get back to you as soon as we can. Why not follow us to find out what we’re up to and find out about our special offers and new pieces as they develop. If you would like to receive further email communication about our products/services and other news then the box below must be ticked. You can change your mind at any time by contacting us or clicking the unsubscribe link on any email. We take your privacy seriously. If this is the case then please select the correct size from the drop down on the ordering page. The size options are from the ‘British’ system – if you are using another system then please consult the table below to determine the size to select. 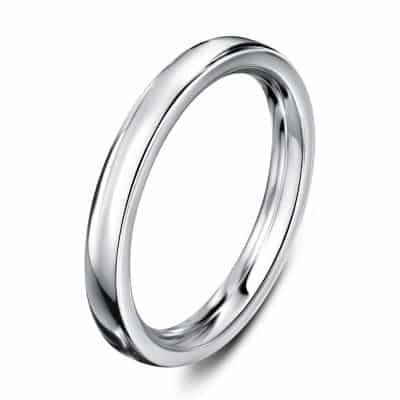 We may have to charge for resizing a ring. Please contact us if you need some assistance. If this is the case, then please select any option from the finger size drop down but add a message to the order or contact us after and state that you need to discuss the finger size. Once your order has been confirmed we will contact you about how we can ascertain the correct size. This can be done in a number of ways including sending samples and we will be happy to help you with this. When will I receive my piece of AG? 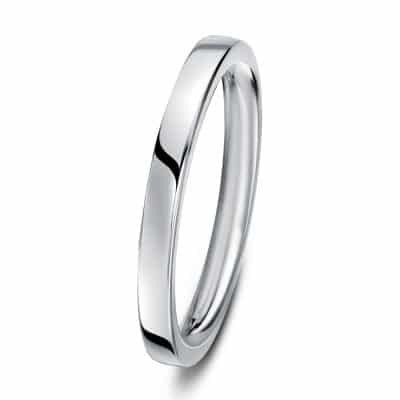 Andrew Geoghegan jewellery ordered from the website will be made up specifically for the customer on ordering. This process will take up from 4 to 6 weeks to complete but please enquire express delivery if your required date is within this timeframe. 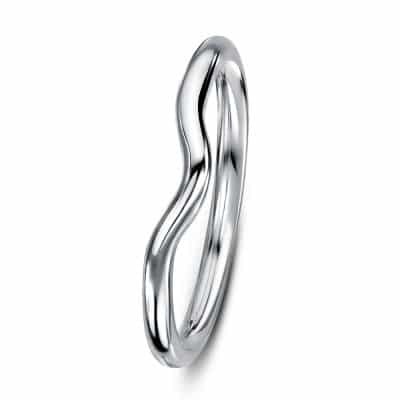 Please note that silver items (cufflinks in the main) are at times held in stock so the order can usually be processed sooner. 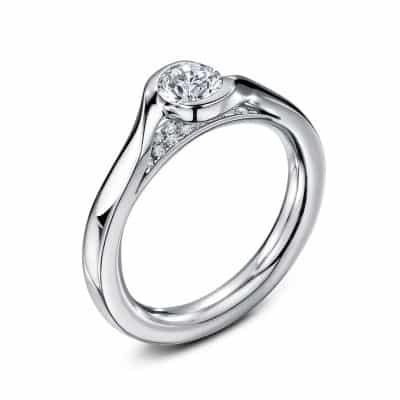 A bespoke item, a modification or even one which requires a specific stone could take more time to complete. Wherever possible we will furnish you with an idea of when your order will be delivered. There are occasions when we have certain pieces in stock which can be sent out very quickly so please enquire if this is a requirement. Please be advised that in exceptional circumstances such as adverse weather conditions your package maybe delayed. In these circumstances it is important to respectfully point out that we do not take responsibility for any impact the delay in delivery may have. As we approach the Christmas season delivery times maybe in excess of 6 weeks. It is very possible to express an order through so as we can hit a certain date. Please make contact with us to discuss this. UK: If you live in the UK then the shipping is free and we use the Royal Mail Special Delivery service. This is a trackable service and a signature will be required on delivery. Non UK: If you live outside the UK your item will be shipped by Fedex and will cost £50. Can you ship to an alternate address? Yes we can ship to an address which is not assigned to your credit/debit card however we will require additional forms of identification and proof of address.